This mini intuitive reading is for you if you’re looking for quick insight and advice on a budget. It’s for one question only. 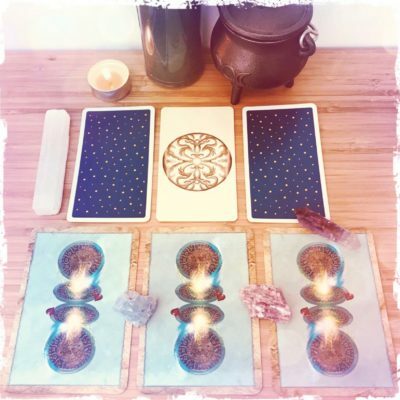 I will pull as many cards as I feel guided, hold sacred space for you, and send you a one-page reading via e-mail, along with a picture of the cards. 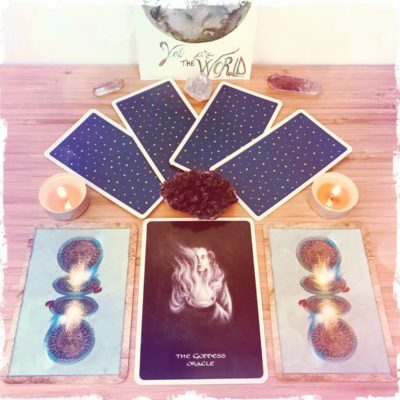 I will create a custom spread for your question using tarot and oracle cards, consult you to make sure my approach will be of help to you, and I will hold sacred space and do the reading focusing on your energy and the energies around you. 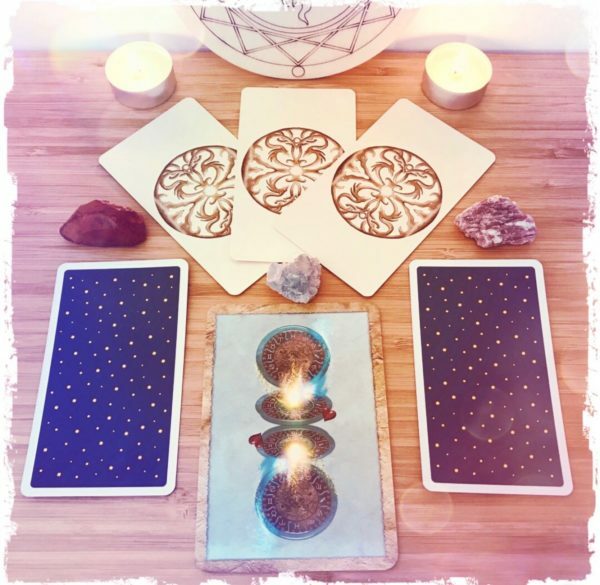 You will receive your reading and a picture of the cards in a PDF, via e-mail. By purchasing a reading, you agree that you have read and understand the Ethics and Policies. If you have any pre-booking questions, contact me. This is the perfect reading for you if you want me to take a look at your past, present, and future from a wider perspective. Let’s see where you are and where you’re headed, and let’s talk about all those things that are influencing you: love, family, career, karma, your dreams and goals. Ask me anything about love, relationships, dating, soul mates, or twin flames. This is a complex reading in which I use tarot cards, oracle cards, and intuitive guidance to offer you insight into your situation. When you ask your question, please keep it focused on you and your own energy. 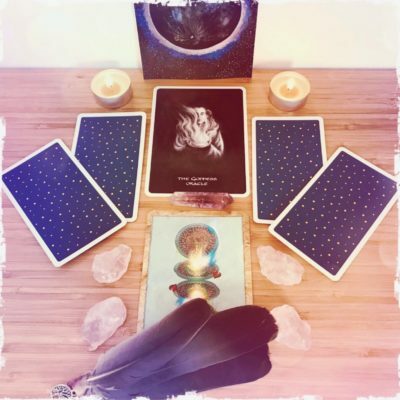 I will use tarot cards, oracle cards, and intuitive guidance to offer you insight into anything that has to do with your job, career, studies, or business. No matter where you are on your path, tell me about your concerns, and we’ll identify any blocks, challenges, and solutions together.